Easy way to convert and reduce picture size - Sometimes to support your work and activity, you need an application which can convert and reduce an images. 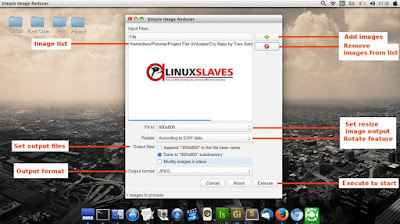 There's application you can use for convert your favorite picture to BMP, GIF, JPEG, PNG, PPM AND TIFF format easily with graphical user interface (GUI). However, you also can fit that to another size. This is my favorite application to fit image size, and I think this is one of best application to do that. Copied from official site, Simple Image Reducer is an GTK application to easily reduce and rotate images. It can be useful for processing digital photos before sending by email or uploading on the Web. 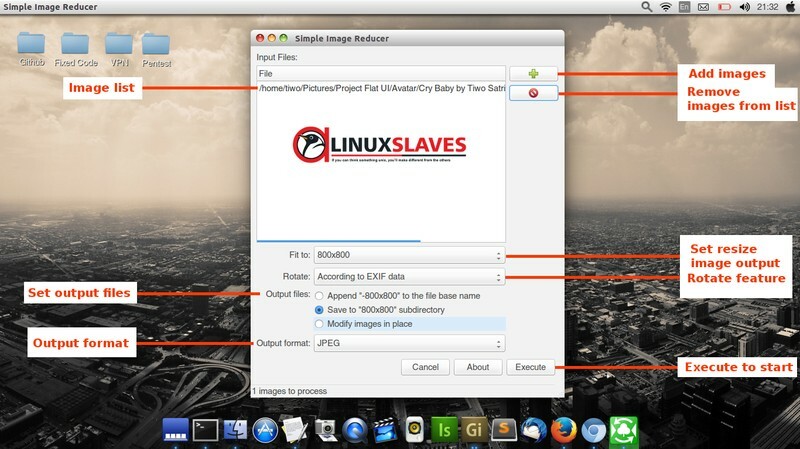 Image files can be supplied to the application from the file manager using the context menu "Open with...", or dragging files to the main window. This application is an embodiment of the idea to create a simple, lightweight and easy program designed only to reduce images and change their orientation (rotation by 90, 180 and 270 degrees), and which can be accessed from any file manager, which supports a .desktop files. The program can also recognize the EXIF data and do image rotation in accordance with these data, which makes this application useful in processing images obtained with a digital camera before uploading to the web. 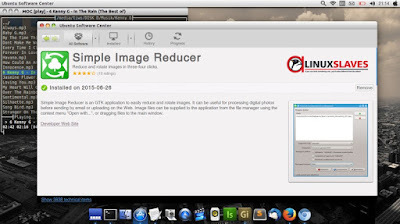 That's all I can write about how to install simple image reducer: best application to convert and reduce picture size on Ubuntu Linux. Hope you've enjoyed reading this tutorial as much I’ve enjoyed writing it. Thanks for visiting us.